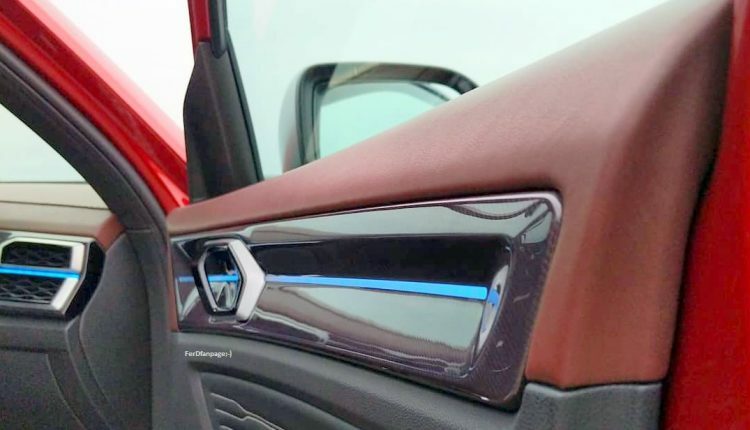 First photos from the Monterey Car Week, credit to FerdFanPage on Facebook. Having been first showcased at NYIAS 2018, the ongoing Monterey Car Week (21 – 26 August) in California, sees Volkswagen showcase two German/US concepts based on Atlas SUV – Atlas Tanoak pick-up and compact Atlas Cross Sport SUV. 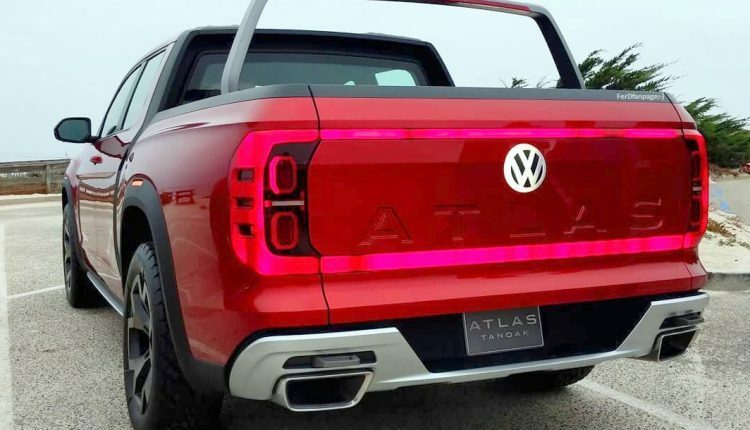 It is truly an AWD showcase of the possibilities the Atlas range presents. 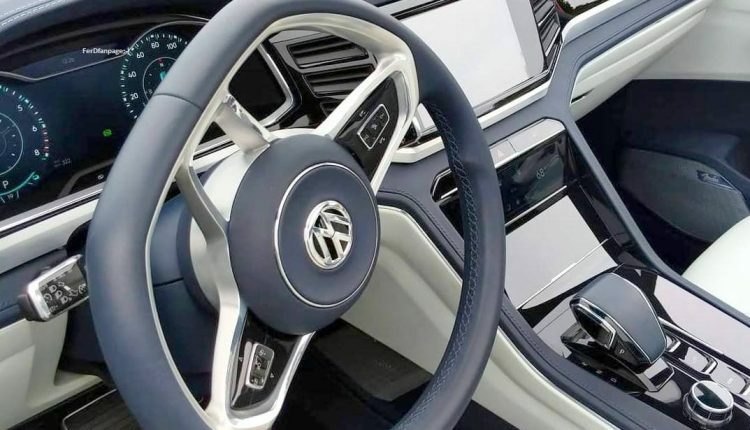 Referring to the yearly Pebble Beach event as the ‘automotive world’s hall of fame’, VW points that over the years the event has transformed from one that was known for its classics to becoming an ‘automotive looking glass into the future’, possibly hinting at what the concept beholds. 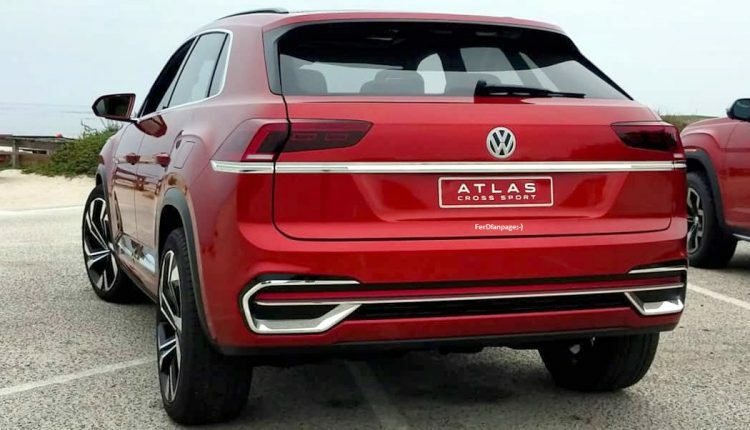 Atlas Cross Sport will become a reality with series production scheduled for early 2019. 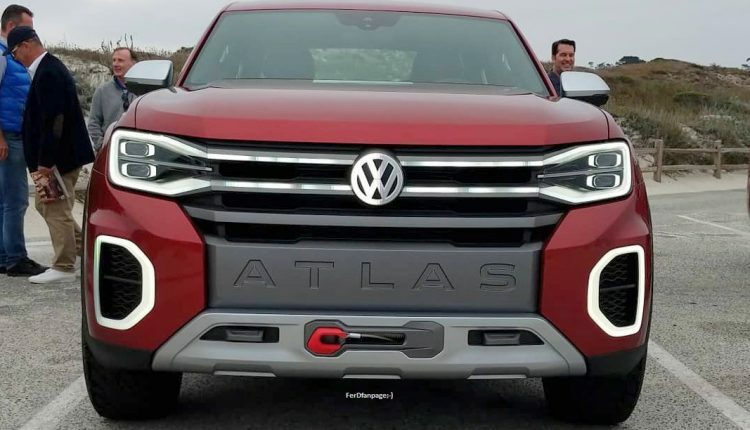 It will in effect be a compact SUV, a 5 seater variant of the 7 seater Atlas that’s already in production in US. The compact Atlas Cross Sport concept highlights a coupe-style rear, and LED signature lights. 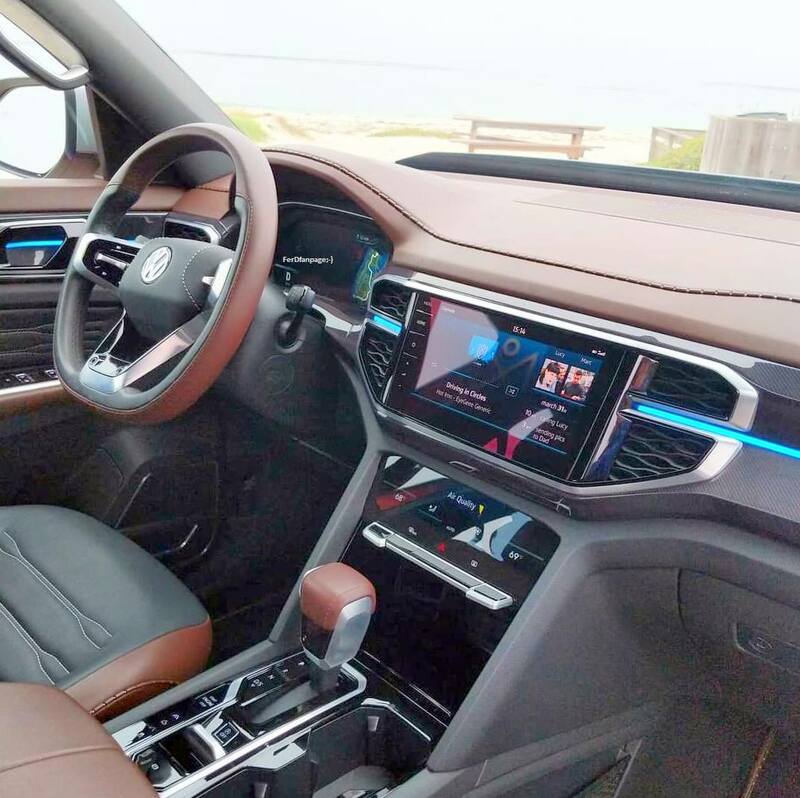 A plug-in hybrid drive (PHEV) returns 265 kW/360 PS output with a full electric range of up to 26 miles (EPA). 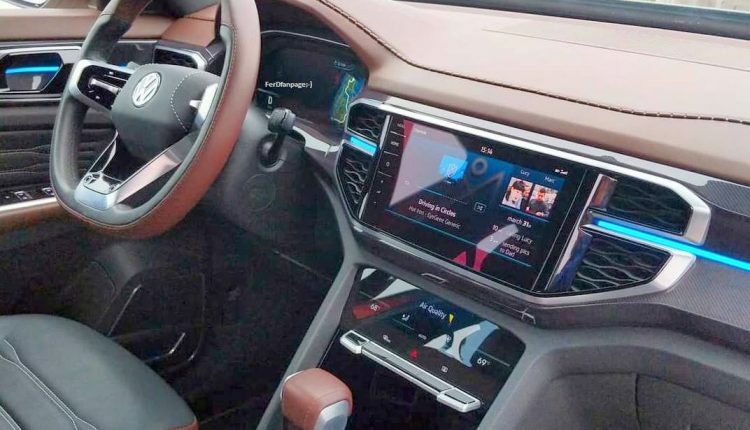 The hybrid concept without an external battery charging function (HEV) returns 231 kW/314 PS output. 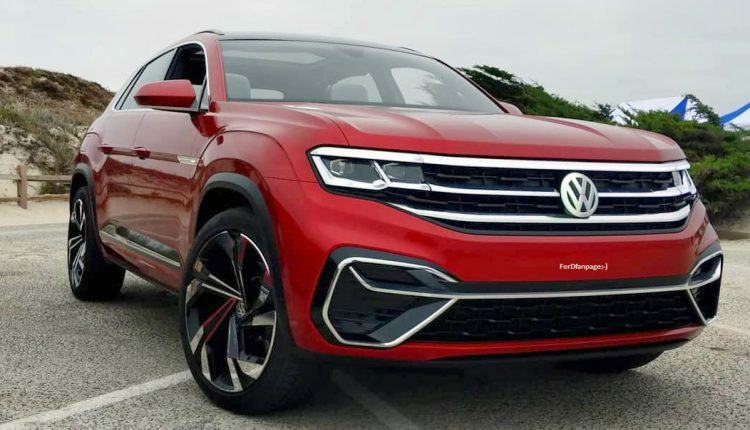 The compact Volkswagen Atlas Cross Sport will manufactured at the company’s Chattanooga (Tennessee) plant. 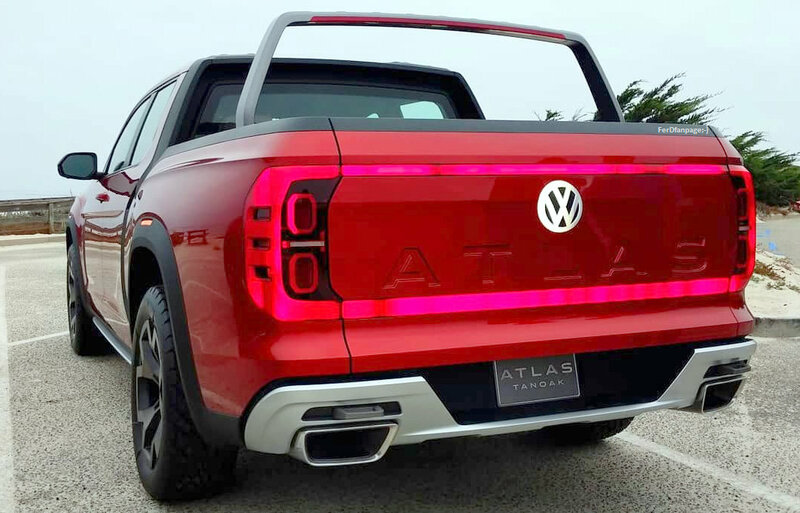 The 7 seater Atlas is already produced at the US plant. 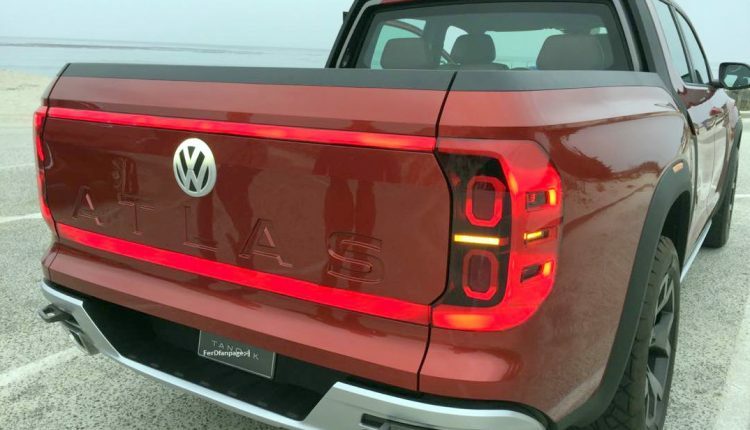 The company also revealed, Volkswagen Atlas Tanoak Concept ‘may be on the cards’. 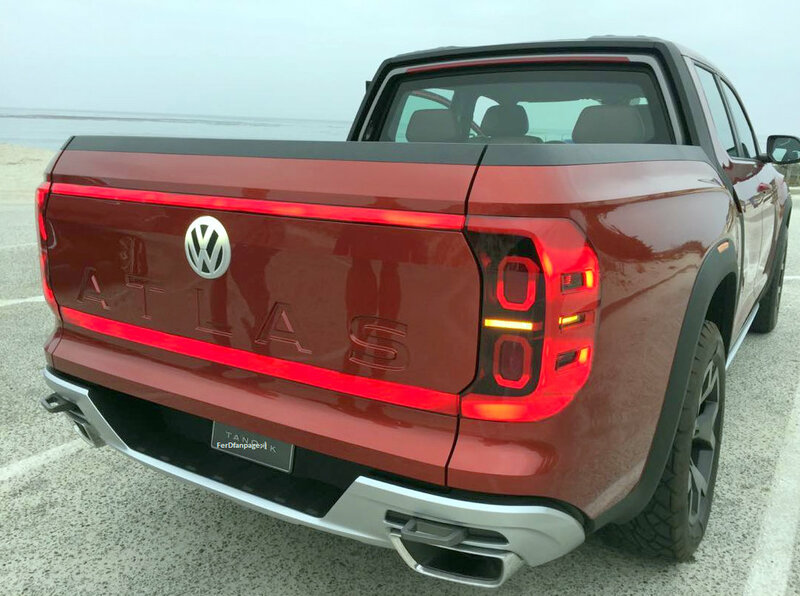 With power from a 206 kW/280 PS V6 petrol engine, this is the first concept pick-up built on VWs variable modular transverse matrix (MQB). 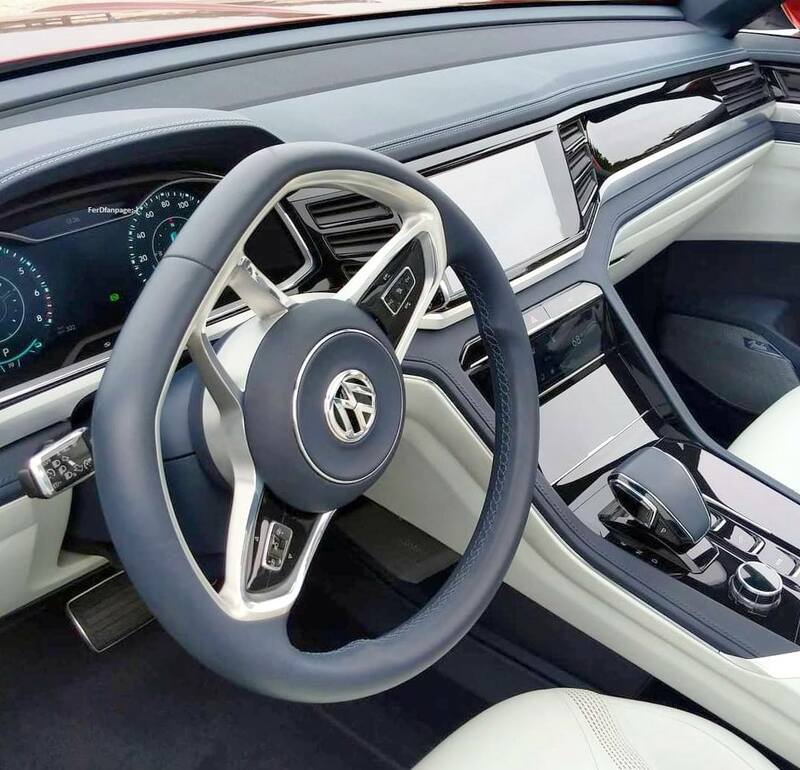 From the front to B-pillar, both pick-up and SUV share similarities in form with individuality reserved for the rear body. 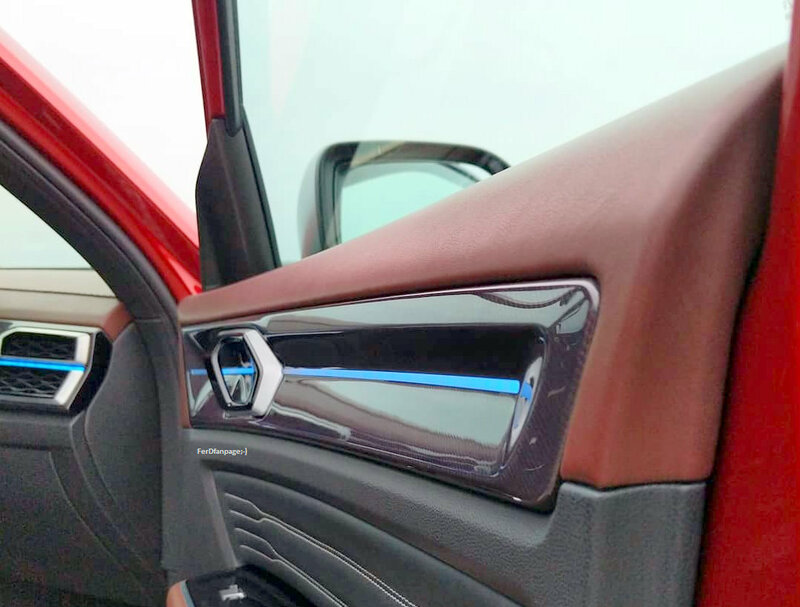 The double cab is designed to be imposingly elegant with a fairly large large loading/cargo area. 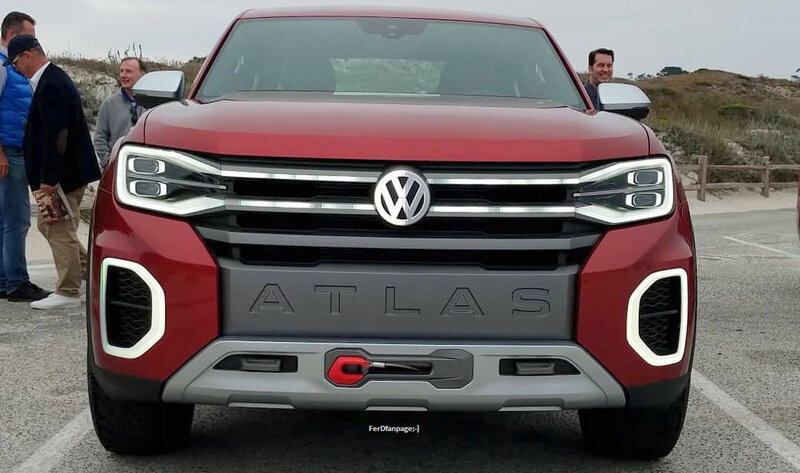 With VW stating, ‘Atlas Tanoak would be launched in Northern America’s vehicle class with the highest volumes’, it’s easy to see the company is prepping to enter new segments with new vehicles.